"Digital Classroom Management for the Modern Classroom"
I love the ability to have GG running while my students are working. It allows me to focus on helping them, especially when using the chat feature. Students who are usually afraid to ask questions ask them on there, and I'm able to provide instant feedback on what they are currently working on in real time. I would like more control per student. For example, if a student is off task, I can close their tab or lock their screen. However, if they are working on an assignment requiring their Chromebook, I'd rather not lock them out completely. I would like the ability to provide a screen solely to one student; providing guidance in improving digital citizenship skills. It's a great way to teach students about digital citizenship without having to hover over their shoulder and prying into their every move. I'd rather use goguardian when asking students to complete a certain task with their Chromebooks because it allows me to give up control of learning to my students. My students are learning time-management skills, and I'm able to see how well they were at achieving various tasks while staying on task. It's amazing to be able to monitor student activity all in one place at my fingertips. It helps with classroom management, I can modify and correct both behavior and mistakes all from my screen. I wish there was an app for my phone! Carrying around my Chromebook to monitor all the time can be daunting! But that's just a personal thing! 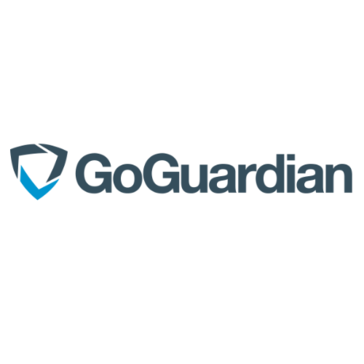 The GoGuardian management systems are tremendous in their support. They are very supportive of teachers and provide training both on YouTube and through a variety of channels in order to assist the teachers through the process of getting the program up and running! GoGuardian is really top notch when it comes to managing student's computer usage both during school and during the times that are preset for students. Also, the ability to monitor for words that are troubling or potential threat or harm is an amazing asset to our school population. Not only do teachers love it, but parents love that we are keeping an eye on their children and their safety as well! Monitoring student's online behaviors and interactions, as well as their screen time in class . I love the ability to monitor and control (to a point) student machines during class time. I do not like that I am unable to lock displays and display large text on the screen. I am also unable to see certain apps outside of the Chrome browser, but this was expected. It can be difficult to decide between GoGuardian Teacher and Admin - Teacher is excellent for monitoring students and keeping them on task throughout the day. A session cannot have more than 110 students in it, so you cannot run the whole school through one session. You also are limited in what you can and cannot do with student computers from the teacher standpoint. Overall, it's an amazing software and the support is beyond what I expected. We are keeping students more on task and keeping them away from games during school. It also allows us to find out if multiple students are using the same account (as it will show multiple logins for the same person. Board. It helps to keep students engaged. I would like to be able to make certain that students stay away from inappropriate sites. I have found the current way of limiting sites for students to use a bit intimidating and confusing. I find it easier to keep the limits to a minimum but that means I really must pay attention to what they are doing. In regard to the business of teaching, GoGuardian helps to keep my students safe and on task while on the Internet. The benefit is that it is easier to see what students are doing. "Necessary tool for one-to-one schools!" The ability for the classroom teacher to have full control over what is or is not accessible to students in class. Keeping them on task is almost impossible without this! It would be nice if individual (or groups of) students could be given different "scenes" within a class, but this is only a minor issue. Without this, I cannot imagine keeping all students on task when they are required to be on their devices every day. This is also a vital tool when working with parents (since it logs student activity in class, there is no argument over what the student was doing during class time, including screenshots). Keeping students on task in a one-to-one device school. This also helps us monitor students for their own safety (and others' safety). I love the ability to have sessions emailed after they are over. This way I can go back and scan what students were doing if I wasn't able to look at the session in real time. I love to be able to see each student's screen when it's in the live session! It would be nice if the timeline showed all my students on the page, but I have to scroll down to view them all and then move the tab over to view the activity over the hour I have the session live for. I don't really think I've solved any business problems, except for knowing when a student isn't doing what they are supposed to be doing/on task. "Take the Guess Work Out of 1-1 Laptop Monitoring"
The most helpful thing about GoGuardian is the ability to actively monitor students who use 1-1 technology in the classroom from my laptop. I can see what they are working on during independent practice, and I can send a message to students who are off task. Additionally, I love that I can set up particular scenes for my classroom that allow projects to pop up automatically on students' computers, which saves time in my lessons. The only thing I can think of that I do not like about GoGuardian is the amount of time it takes to understand the software. It is user friendly, but it is easiest to understand when a colleague or other GoGuardian professional is walking you through the site. Talk to your school leaders about their budget and if they are able to implement this program. It really works best if all teachers in your school actively buy in to the program and love it. I know the program is expensive, but it is worth it to get students back to the basics of teaching and learning. I have realized that we have solved a lot of problems in how to actively engage our students, and also how we communicate with them during the school day. Before GoGuardian, our school had a hard time drawing the line of how often to allow students to be off task, and how to get them to build their own healthy relationships with their computers. Now the conversation becomes a lot simpler. "GoGuardian works to keep our students safe!" Classrooms and scenes for teacher use have been a great way to give teachers more control of what their students can access on their Chromebooks. The administrator side makes it easy to monitor the student usage and get alerts for inappropriate content. This piece has been invaluable in keeping our students safe and teachers/admins informed about student usage. Lack of parent access, it would be wonderful if teachers could give parents a code/access to monitor their student's use during the day. Our teachers really like that they have more control of what their students can access. Each teacher uses something different or allows different sites, so it gives them a more individualized experience with the option for scenes. GoGuardian teacher helps our teachers monitor their students' use of the 1:1 Chromebooks they have in their classroom. It helps them keep students on task and cuts down on misbehavior and disengagement. What I like best about GoGuardian teacher is that it allows the teacher to be able to maintain a students ability to stay on task when given the opportunities to get off task with technology. With the ability to either block students from browsing or to simply monitor them, with the option of remotely closing tabs, it is a great tool to be able to help maintain classroom control. The business product that GoGuardian Teacher allows me to solve is helping students to learn how to not be distracted by mindless searching in class. Students are able to learn a proper etiquette for online usage in a controlled environment. "Incredible monitoring software for teachers and students"
I love that each class can be set up with times to auto-start, and you can auto assign scenes based off of the classes. It submits a helpful report at the end that shows what your students are doing. It makes it easy to set up what you want your students to be working on. It's also great to be able to generate reports per student in case a parent asks. It would be great to delete scenes and classes instead of archiving them. It can integrate into Google Classroom, so setup is pretty easy! We had a lot of students off task, but were easily able to reign them in by locking down what they needed to be on. Many teachers want different things blocked, and as an administrator this makes it easy to allow them to block it instead of me blocking it per student or per class. That it records the class automatically so you can go back and review the class session if there was something going on. IT is great when you notice a student may not have been on task during class, but you didn't want to interrupt class to single out the student at the time. It does not save the screenshots automatically, just the timeline of webpages. While this is fine, there are times the screenshot is needed when parents needed to be brought in. Don't be afraid to use it, once you start, you will never want to have a class where you don't have it implementerd. It's a set of eyes that the teacher can use later on and focus on the classroom than the student machines. Other products are only live viewing, or you manually have to record the student's session which take time ot of the lesson to watch the computer screen. "Good for monitoring Access to Trainees"
It was really easy to setup and we can make it work differently for different trainees. It gives confidence to the mentor if the lessons taught are really implemented. We can get new features whenever we have high demand of some feature on vote for features page. You can always get to learn all about it from it's documentation. The only thing which needs improvement is automatic scheduling , other than this it is a great piece of software. If you need to monitor the device access of the trainees in your class than it is very nice to use. It can also be used by the organizations which give specific knowledge to students and using of devices is necessity of the course offered. It had made a great control over trainees for the time they spent under the tasks assigned to them. There is an email on end of every session and we could easily know that the session covered what all things. It does not allows the trainees to get distracted. "Go Guardian -Save time and stress for everyone!" Go Guardian enables instructors to keep track of the computer screens of all students in a designated class. It integrates with Chromebooks. From the "teacher" account, instructors can also open and close tabs on the computers of studeents within their class, send private chat messages to students, lock or pause screen activity on the other screens, and prevent access to websites of their own choosing. It is tricky to understand at first, and alternating between viewpoints, finding where all the command buttons are, and navigating the site takes some practice. Occasionally it will tell a student I have blocked a website when I haven't. I love how GG allows me to discreetly interact with my students. I can message, close distracting tabs, send websites for direction or student interest all while making sure everyone is on task. Monitoring! We went 1:1 a few years ago and have been struggling with making sure the content is monitored for each class. The benefits: additional avenue to interact with students and streamline & personalize content. "GoGuardian is one of the best softwares for teachers"
GoGuardian allows me to see what each student is doing on their chromebook/tablet at once - ensuring that they are on task during class instead of having to constantly walk around the room for monitoring. GoGuardian also sends me a report to my email of what the students were doing during a session that I was recording their chromebook usage. Sometimes it disconnects with a login. It also can be time consuming to link a student's account into your GoGuardian account. Ensure that you get a professional development on GoGuardian. Our District did a district-wide professional development to allow us to trial and error the program before using it in the classroom. It is a great way to help keep students safe, engaged, and monitored in the classroom. Monitoring student usage on their chromebooks during class time is a lot easier. "Ensure On-Task Work Along with Online Security"
I like the simplicity of the software and that is is possible to view all connected devices at the same time in one screen. I have also found the usefulness of pausing screens and forcing screens to a specific site. I dislike having to delete each student one by one each year. I also dislike that when I have my students add by code, there are always a few in each class that don’t come up for one reason or another (I have to fog back and manually add them). Add students by adding the entire roster through excel not by giving students an add code. Solving the problem of students going on inappropriate sites or doing things other than what they are suppose to be doing on the computers. "Great way to balance monitoring and facilitating classroom behavior"
I love that you can open and close tabs remotely for students, and how I can "digitally" cold call students to share good and bad things on the whiteboard. Classroom monitoring of devices. We have been able to successfully roll out a 1:1 device program. "GoGuardian has been incredibly helpful for us monitoring our students and managing our space. " I enjoy having the ability to see what students are doing while they are in the space. I also enjoy the filters it allows you to place, so students cannot access certain websites, etc. Unfortunately, students are always able to find ways around the restrictions that we have in place, and find Google extensions, etc. that will allow them to access sites that are blocked. GoGuardian does not let you see what these students are doing while they are using these extensions, and you cannot close or force stop them from using it. It has allowed me to get more work done, knowing students cannot be watching Netflix, etc. because those sites are filtered/restricted. Go Guardian is an amazing way for teachers to see exactly what their student's computer screens are on. You can send them a message, lock their computer screens, or redirect them to the correct site. It's a great way to help monitor student's internet safety. At times, Go Guardian can be slow to load if you have lots of students in your class. By using Go Guardian, I have had so many benefits. My students are on the correct sites all the time now. I also can make it to where I only want them on a handful of sites, but they can choose from that few. The benefit is that students are safe on the internet. "Great student monitoring... once you get the little things down"
I like the ability to take snapshots of screens, the ability to close out tabs, and limit the websites my students can go on. When unlocking kids back to using their chromebook it has glitched a few times where students continued to be locked out. The conflictions of being locked out for students when multiple teachers have a student in their "classroom" at the same time. Its worked well for us. It takes time to learn and get the hang of. It is not plug and play for the options I want as a teacher such as website blocking, locking students out, tab restrictions. To help monitor students at a public school district, k-12. Being able to control what my students can see and access while in my classroom. I can set Scenes to restrict them to only certain sites and can visually see when they are not on task. I can easily open new tabs for the students when shifting to new tasks without having to wait for the students to type in a URL. I can easily instant message the students when they have questions or remind them to stay on task when they start to wander. Responses time for closing tabs or locking Chromebooks can be delayed at times if there is any latency issue on the network. "Essential tool for tech 1to1 educators"
The ability to focus kids attention by eliminating the many distractions of the internet. Lack of student side features. Gen Z'ers are tech savvy and used to having input and control in many areas of their life. Providing students ways to interact with Goguardian (please let me visit this page button) would go a long way towards creating student buy in. Student to teacher chat has been a benefit for the times when I am out of class covering administrative duties, home sick with my kids, or allowing my students to work in other areas of the campus. It helps me provide assistance or guidance when I can't be right next to them. "Great monitoring and filtering solution puts the power back in the hands of teachers"
I like how easy it is to set up classes and quickly start monitoring your devices. The cost is a bit steep. In the end, it's worth it though. In addition, while the chat feature is definitely awesome, the implementation could be a bit better. Access to chat logs after the fact should be added in as well as students being able to choose which teacher/co-teacher to message in a session. Compare it to the other products. It is obviously the industry leader in device monitoring solutions. We use it to monitor student devices. We use the scenes to quickly get students on task and keep them there. Allows you to not have the anxiety of having students browse the web. GG creates comfort for you that allows students to learn from the internet. The only thing I dislike is that some students find ways around this. I have a small group of students find a way to make it look like they do not have an active tab. We are solving the fear of students stumbling upon something they shouldn't/ Also it allows us to know what our students are doing during class. Also the students know we can see what they do so it have mostly prevented them from being off task. we are solving classroom management issues by allowing teachers to see student screens without having to get hands on the machine. "A tool that makes managing the classroom a breeze!" I no longer have to police students’s devices! I cannot think of anything that I dislike about Goguardian Teacher! Teaching and not policing individual student devices! My focus is again in teaching content and students Are focused on what they are supposed to be using their devices for... Learning and playing! "GoGuardian = Awesome Classroom Management! " All students have Chromebooks in my classroom and while they are awesome tools, they do pose a significant classroom management challenge. GoGuardian cuts down on the time I spent policing internet usage. I wish that the chat feature sent a more prominent alert to the students. Sometimes when I send a chat the student doesn't notice and it defeats the purpose. This is a great tool for any teacher or admin team managing students or staff online. This has made it so much more simple to manage large groups of students using technology. It is invaluable! The ease of use for non-technical people. Teachers can keep track of what students are doing real time. Using scenes for classroom instruction maximizes your classroom time. This product is the best there is for management. I haven't found anything not to like about this product. "Makes Classroom Management During Work Time a Breeze!" The chat function is great to connect with introverted students, and I can easily view the screens of everyone in my class. I was worried I wouldn't be able to do this when we switched to Chromebooks, but this is even easier than the software we had in the computer lab. I haven't found anything to dislike yet. It's been a wonderful product. I'm very glad my district invested in it. "Online Classroom Management made Easier. " I like that you can see what students are working on while they are on their individual computers. It is a great way to monitor their research or work progress without having to block off access to the internet. There isn't a feature for teachers to "push material" to the student's screens. You can control and block off certain windows but I don't know if one has the capability to share a specific e-document or presentation so that all are on that window. This is a great product for managing classroom research projects and in class online use. Classroom Management, Help with time management and focus on specific tasks. Monitoring students work in class. One on one conferencing for clarification. "Helps me be a better teacher"
I can't think of a thing! I love it! It provides eyes where you can't always see. "GoGuardian is *THE* Chromebook monitoring solution"
The ability to see screens, set classes, limit options and set class rules are some of my favorite features. Nothing really, my dislikes come from the limitations of Chromebooks themselves. Much better accountability and on task behaviors. "Great Product for Students, Staff and Administrators"
I like that the company is continually innovating, reliable, and responsive. We are providing a safer and less distracting learning environment. I used this when I was mentoring 10 kids on business. You can see what everyone is using and the tabs open on their computer. You’re at your teachers station and you’re able to assess the information your students are revising. It means you can go ahead and close programs they’re not supposed to be using, like Facebook! I love the platform. I use it for a small group and I have nothing bad to say about it. I teach a small group. It’s more like a mentoring program. It helps me when I’m proposing presentation or presenting assessments. "A Helpful classroom management tool"
The feature of viewing all student screens, and ability to close screens is a great benefit to classroom management. The scenes feature is a nice idea, but really hard to figure out and master. I don't like it. GG helps to ensure students are on task and being successful with the technology. "Bumper rails for Beginning Digital Citizens"
GoGuardianTeacher puts teachers in the driver's seat! It doesn't play well with some operating systems like Windows 10. Students need guidelines and parameters when unleashed on the internet. GGT gives that control back to the teachers so devices can truly be TOOLS in the classroom, not just distractions. "Teachers can take control of their classroom!" Student's Chromebook activity can be monitored and controlled so they stay on task. Occasionally a teacher will forget to end their session and block the student from accessing site while in another class. Students are more focused on learning while in the classroom. "Keeping students on task while using technology." I like that I am able to see all of my students screens and make sure they are on task. Some students have figured out how to block goguardian, so then I can't see their screens. This helps with making sure students are on appropriate sites at school. * We monitor all GoGuardian Teacher reviews to prevent fraudulent reviews and keep review quality high. We do not post reviews by company employees or direct competitors. Validated reviews require the user to submit a screenshot of the product containing their user ID, in order to verify a user is an actual user of the product. Hi there! Are you looking to implement a solution like GoGuardian Teacher?